The American Metalcraft 16 oz Bar Glass and Mixing Glass (MG578) is the perfect addition to any bar. Made from heavy weight commercial glass, this item will stand up to any drink and is a useful piece behind the bar as well. The glass fits standard shakers perfectly, so you can mix drinks directly in the glass rather than making multiple drinks in a single shaker. 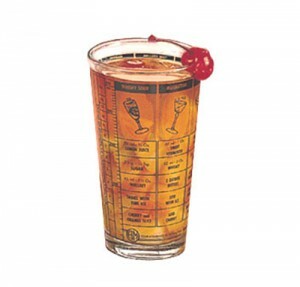 The glass features inscribed drink recipes on the side for commonly requested drinks, so consistency will never be a problem.